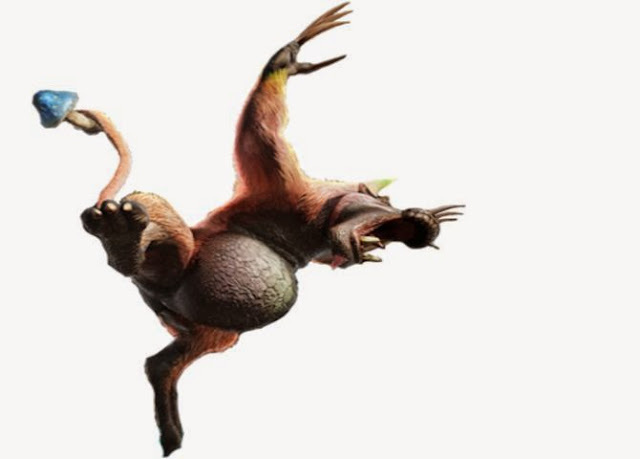 The Congalala is one of the Fang-Beast and its habitat is mainly the primordial forest. He is the adult version of the congas and falls like this on mainly through his pink coat and ruffled his hair. This monster you can inflict fire damage and can also achieve many different attacks that change your status negatively. So it can poison you, for example, and to ensuring stench that you can not use any more items. You can destroy only his hair, his skin and targeted blows to his head. The most effective against the Congalala are weapons with the fire element. Otherwise ice-element weapons are still somewhat effective against the giant ape. Not effective against all other elements. So take any with you. Because worth more weapons, with no element or that reduce the status of the monsters as poison or paralysis. The Congalala is indeed a rather small member of the big monster, but he may bother you with lots of status attacks, and his attacks can inflict a lot of damage. Very effective against these opponents are fire element weapons. You can also use ice element weapons, but you should stay away from the remaining elements, as he has against this resistance. The normal attacks he can cause you much harm. Often he takes you on a sequence of several paw swipes. Due to his long claws, these also have a wide range. He usually strikes four times in a row. After final blow, he falls to the ground and you can attack him well. In addition, he often jumps back upstairs and tries to land on you with a belly flop. While this may deduct many lives, but is easy to dodge, since it is a few seconds in the air. He farts that is very common when you are behind him or he breathes smelly gas. Once you get hit, you stink and you can not use any more items. Since only help a deodorant, so you smelling fresh again, and your status is in order. Before he exhales the gases, he takes a moment longer air, which is enough time to get to safety. The Congalala holds his tail various fungi that enter his breath different abilities. Thus, his breath is poisonous so take also an antidote to the fight and be prepared for the fight against Congalala on everything you have.